I used a drummel to cut off the rear bearing race. Opps, cut into the pinion shaft a little. A friend says its like cutting into a glass sheet. It will fail there and I ruined the pinion. Some say I can emery cloth it smooth but it is a little deeper than that. Did I ruin the pinion or can I use it with the small cut on it without any future problems? I don't drive it hard and rarely go off road with it. It is the 9.25, 392 tracloc differential. Thank in advance for all info. Hope this works. I measured its depth and it is about 1 mm deep or a touch less. Measured at the edge of seat. Thanks for the input. I have already spent crazy money on this truck and don't want to spend any more so that being said I will wait for a few more responses before I leap forward into the abyss. Thanks. There is more material there, true, the problem comes from the cut itself. It gives a place for cracks to start. Of course, under normal use, it may last forever. I'd recommend a new ring and pinion. You have the rear end apart anyway. Put it back together with new parts then have it lashed at a shop. 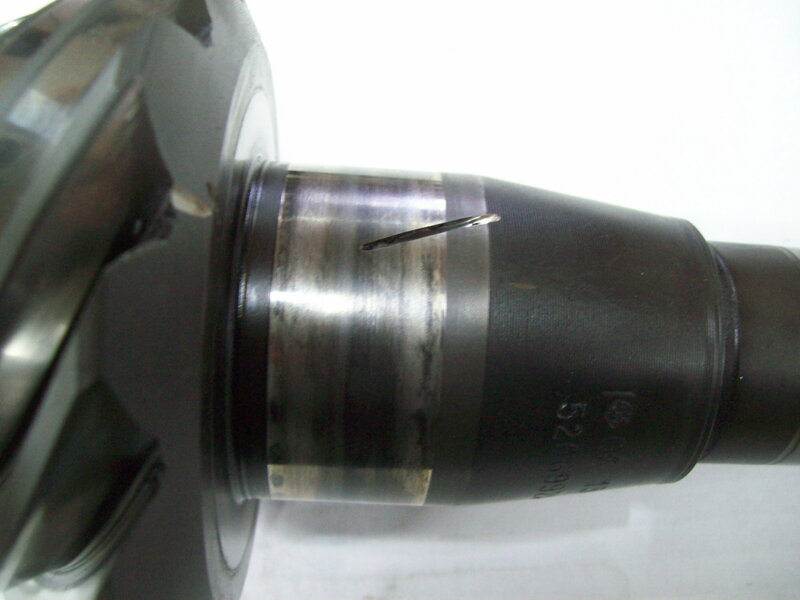 But, I don't think there is much risk by putting the cut pinion back in the truck. You'll press on the new rear pinion bearing and it will have a hardened inner casing that covers the cut. I would replace it why go through all the work just for it to possibly fail. Smooth out the edges press the bearing on and run it, there isn't enough material gone to weaken it a significant amount. If it had an actual stress crack that would be a different story.